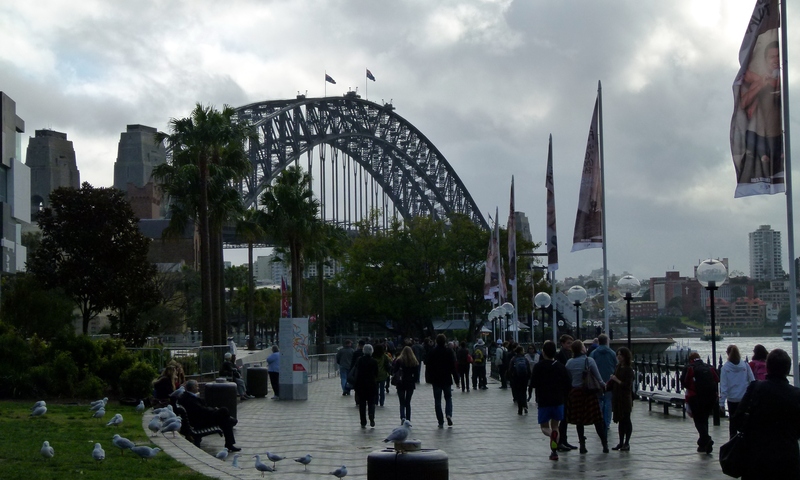 Sunday 22 July 2012 – pretty much the first view of Sydney Harbour Bridge on our holiday. It took my breath away, even on a grey day. I had not realised just how big, how magnificent, the Bridge is. I drive over it everyday, and it always amazes me! Thank you. I shall post a photo taken driving over the bridge. I hasten to add that I was a passenger in the car, not the driver!